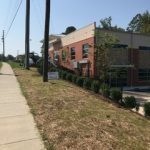 Triangle Family Dentistry Is Coming to Apex NC! Looking for a Dentist in North Carolina that Offers Invisalign? We do! Show Us How You’re Spending Your Summer!